VHT is an effective method of control the pests like fruit fly. This is MSAMB is the pioneer in setting up of state-of-the-art Vapour Heat Treatment facility (VHT) at Vashi, New Mumbai. the first unique facility in public sector in India. 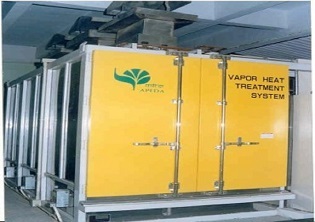 VHT machine is imported by APEDA, New Delhi and erected by MSAMB & used commercially for export of mangoes to Japan, New Zealand, South korea, European Countries & Mauritius. 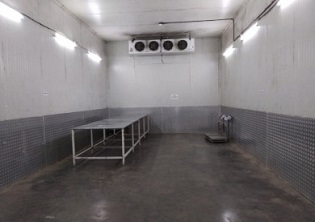 The Components of the facility are Vapour Heat Treatment Facility: 1.5 M.T./Batch, Pre-Cooling Facility: 5 MT/6 Hrs, Cold Storage Facility: 50 MTs, Material Handling System: 1.5 M.T./Hr. 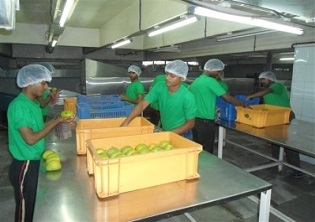 Around 50,000MTs of fresh fruits and vegetable has been exported from this facility across the globe. MSAMB has established Irradiation Facility Center (IFC) at Vashi, New Mumbai. Fruits, Vegetables, Spices & Other food products are irradiated at this facility according to Department of Atomic Energy (DAE) Food Rule 1012. Irradiation is the mandatory treatment for exporting mangoes and pomegranate to USA. This is unique facility in India erected in public sector. Cobalt-60 Isotope is used for Gamma Irradiation treatment. This facility is used to irradiate the pests like Stone Weevil. This facility is approved by Atomic Energy Regulatory Board (AERB) & Department of Atomic Energy (DAE), Government of India. Facility is approved by National Plant Protection Organization (NPPO). 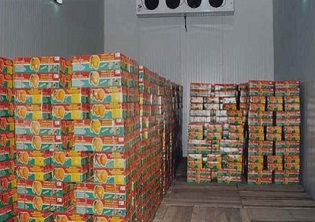 The United State Department of Agriculture – Animal and Plant Health Inspection Services (USDA-APHIS) has accredited this facility for export of mangoes and pomegranate to USA. 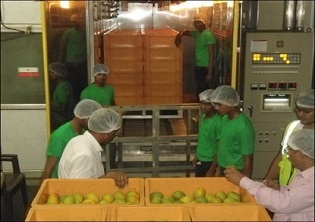 Australian Inspection Team completed the series of inspections to IFC Facility, and now this facility has been accredited for export of mangoes to Australia. Mangoes, Pomegranate, Spices, Pulses, Flour, Petfeed, Onion etc. can be irradiated for export at this facility. Till date these commodities has been exporterd to USA, European Countries, East Asian Countries etc. 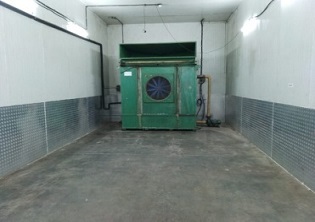 The components of this facility are Irradiation Chamber (500kCi), Cold Storage: 25 MTs X 2 Nos, Precooling : 5 MTs/batch. The current capacity of the facility is 426 kCi. This facility is being run by M/s. Khushi International as an O&M Agency. This facility has been certified by APEDA and till date 4371 Mts export occrued from this facility.